With all of the many methods for losing weight available, it is imperative for anyone who wishes to lose weight to sort out the methods that do not work from the methods that do. An example of a weight loss supplement that does not live up to its hype is Didrex (benzphetamine). If you’re looking for other prescription diet pills, please check out the other posts. Didrex is a weight loss supplement (it is used for other things as well) that suppresses feelings of hunger in order to achieve weight loss. This weight loss supplement effects the nervous system. Doctors will urge you not to share any of your medication because of the fact that Didrex has been found to be addictive in individuals with previous drug addictions. This medication should not be taken if you are allergic to any of its ingredients. It is best to obtain all of your general information about this drug from a physician. The ingredients of this medication include the following: Benzphetamine hydrochloride, calcium stearate, corn starch, erythrosine sodium. FD & C yellow no. 6, lactose, povidone, and sorbitol. When it is not called by its brand name Didrex, it is most commonly known as benzphetamine. Didrex’s mechanism of action is not fully known. For the most part, all that is understood about this medication is that it works much like an amphetamine does. 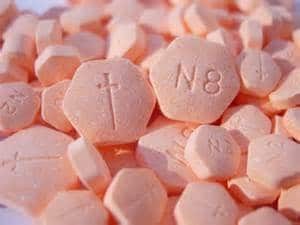 Amphetamines decrease one’s appetite by releasing norepinephrine and/or dopamine in the brain. Dosage will depend on the way Didrex effects the body. The dosage starts at about 25mg to 50mg once a day a day; dosage is increased (to 25 to 50 milligrams one to three times a day) and decreased as needed by a physician. When a patient first begins using this weight loss supplement, it is usually taken whenever the patient would normally eat their first meal of the day. This medication is taken orally and can be taken with or without food. Because of the way this medication effects the body, Didrex can cause your heart rate and pulse to rise to dangerously high levels. Aside from this, there are many other side effects of this medication that you should be aware of before deciding whether or not to use it as a part of your weight loss regimen. Just a few of several side effects that commonly occur include the following: convulsions (seizures), hallucinations, numbness or tingling in the arms and legs, trouble thinking, speaking, or walking, mood/mental changes, shakiness in the arms, legs, and feet, as well as several other harmful side effects. These are just the way this medication will effect your mood and the outside of your body. This medication is capable of wreaking total havoc on the inside of your body as well. Healthcare professionals are reminded not only to look for serious physical side effects that one can see, but side effects that might occur inside the body as well. Tachycardia (rapid heart rate), elevation of blood pressure, and even isolated cases of cardiomyopathy (chronic disease of the heart muscle) and ischemic cardiac events have been reported in users of this deplorable weight loss supplement. Although it is obvious from the evidence discussed here that the results of taking this weight loss supplement can be hazardous to your physical health, it can also effect your mental well being as well. Didrex has many other side effects that potential users of this drug should be aware of that are not mentioned here. Because of the harm that this drug can do to its user, it is horrifying to consider what this drug could potentially do to an unborn child. Therefore, it would be a serious mistake to consume this harmful drug. Do These Diet Pills Work? 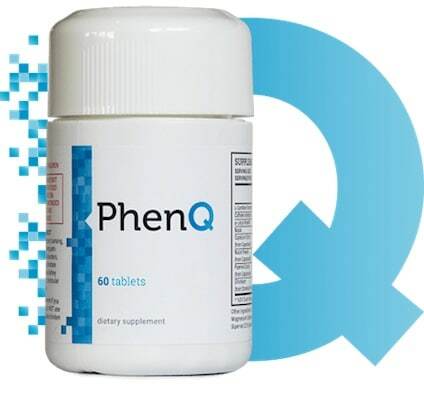 Where Can I Buy Phentermine?